Big Data could soon be counting your coffee breaks and words at the water cooler as it makes its way into the workplace. While Big Data is commonly used to improve companies’ understanding of their customers, we’re now poised to enter another stage of big data that may give some people the jitters. Volometrix, a 'people analytics Big Data company', is set to unveil new technology which measures employees’ engagement, productivity, and retention. It is claimed to be the first technology of its kind to turn these analytics inwards to diagnose organisational health issues. Using algorithms to identify inefficiencies, VoloMetrix’s technology provides actionable insights for employers and employees alike, according to a company statement. For example, the technology’s Organisational Load Index (OLI) calculates the time any given employee consumes from the rest of the organisation based on meetings they schedule and emails they send out. 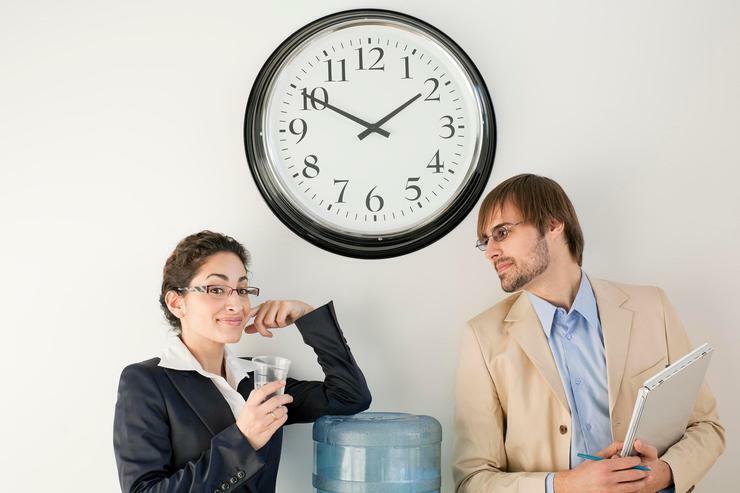 If an employee schedules a one-hour meeting with four people, he has consumed four hours of time from the organisation. The company is set to announce it has filed for a patent for its technology that delivers unprecedented visibility into employees' daily performance.